Communication is a major reason for reading any book to a child. When we read together we foster closeness, language acquisition, and values. Sometimes special circumstances require specialized books to help alleviate fears, overcome obstacles and enlighten the unaware. 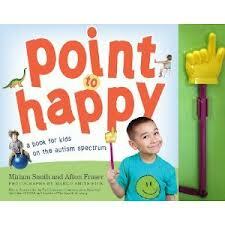 When a child has difficulties communicating his needs or feelings, books like Point To Happy, by Miriam Smith and Afton Fraser (Workman Publishing, 2011) can help. With simple text and clear, large photographs, “Point To Happy” is intended to aid kids on the autism spectrum in expressing themselves and detecting the feelings of others. The attached pointer wand helps a child focus as he selects the appropriate pictures when the text is read. Photos illustrate emotions, objects and everyday activities. There is also a blank page for adding pictures of family and friends. The grandmother, mother and aunt of an autistic child created “Point To Happy”. It is cleanly presented and well thought out. The book is oversized and sturdy for repeated use. Though it is intended for autistic spectrum children, any toddler will benefit from the decoding and motor tasks fostered by this book. It offers kids practice in recognizing colors and parts of the body. Young children also need to study facial expressions and body language in order to empathize with others, and this book is a great way to reinforce those lessons. School-age children sometimes struggle with learning differences. Offering encouragement to dyslexic children is Vanita Oelschlager’s book, Knees: The Mixed-Up World of a Boy With Dyslexia (Vanita Books, 2012). 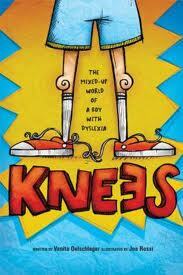 “Knees” clearly explains what dyslexia is like for a fourth-grader. The simple text is written in rhyming couplets that keep the story flowing. Energetic pen and ink illustrations by Joe Rossi are a friendly invitation to read this book over and again, and perhaps even color the pages. This is a nice book to offer some comfort and understanding to a child who has been diagnosed with dyslexia. Informative and entertaining, it is a great choice as a read-aloud for teachers who want to help other students better understand the challenges faced by a fellow classmate. A young prince yearns for a real princess to be his wife, so he searches around the world but doesn’t find a girl who is quite right. In the middle of a storm, a dirty, wet young girl knocks at the gate and claims to be a real princess. Instead of placing a pea under twenty mattresses, this book puts a peanut there. The sensitive princess breaks out in hives and must receive an Epinephrine injection and be looked after carefully for a few days. The cute story with amusing illustrations isn’t just entertaining, it provides accurate information about what really happens when someone has a severe allergic reaction. 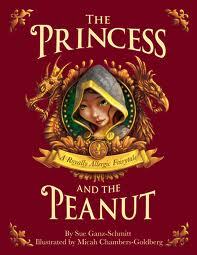 “The Princess and the Peanut” helps take some of the scary out of such a situation. Each month, Michelle Clark reviews fiction and nonfiction for infants through young adults, focusing on recently published, quality children's literature and often including a classic choice from our great literary heritage. 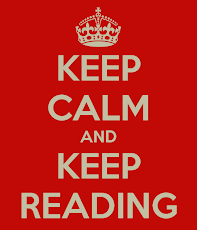 Sign up to receive an email once a month when a new selection of books is posted. My column is published in Richmond Parents Monthly, which is distributed in Charlottesville, Fredericksburg and Richmond, Virginia. Please contact me through the magazine. I'm nobody. I'm nothing but one of the unknown beings Homer and Dante, Shakespeare, Caesar, and the popes and the generals and statesmen have sung and fought and worked for. I'm the appreciator of all good words and deeds. A classic is something that everybody wants to have read but nobody wants to read. All Rights Reserved. Simple theme. Theme images by bopshops. Powered by Blogger.